Life happens - we watch it on the news, we see in our local papers, and we even hear of it happening to our neighbors. However, we rarely think about something happening in our home - but when we do it is scary. This past month I was given a Panasonic Home Surveillance System to test out - and use to help protect my home and more! The idea of this had my kids laughing, they could not imagine cameras sitting around our house monitoring what is happening. 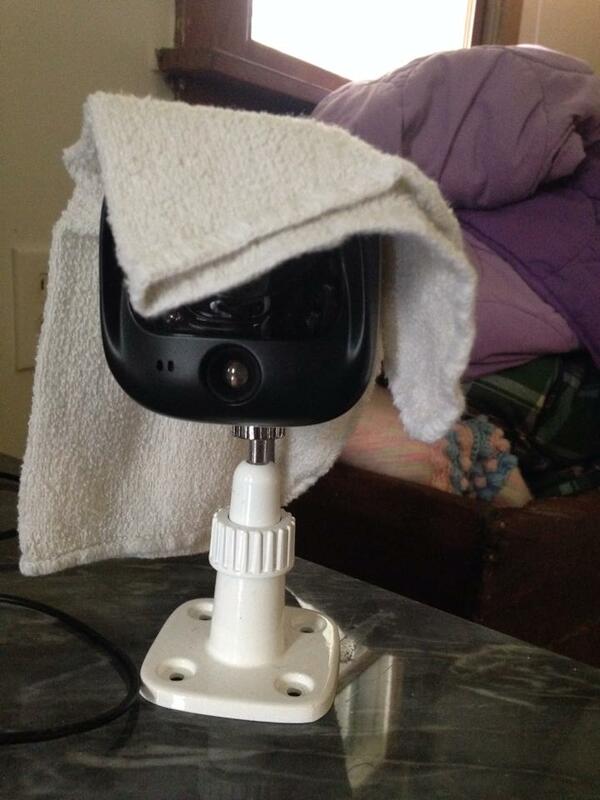 My sister who lives with me did not think this was such a grand idea - in fact I have often come home from work to find one of the cameras covered with a towel?? The Panasonic Home Surveillance System does give us peace of mind as far as watching who is visiting our house when, however the product also gives me the opportunity to monitor what the kids are doing when - as I have camera mounted in their favorite room. Safety - monitoring your home and visitors. Watching Wildlife that roam around your house. Communicating with family when you are away. The surveillance system is affordable, does not require expensive contracts (like many do), and even connects to your mobile phone - so you can monitor on the go.